Taylor River Lodge, the newest Colorado property by Eleven Experience, is set to open in June for it’s first full summer season. 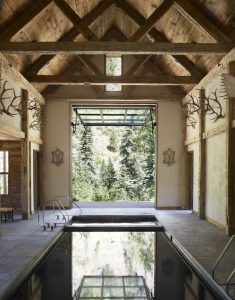 The quintessential mountain lodge retreat, perched just along the banks of the pristine Taylor River in Taylor Canyon, distinguishes itself as an exclusive summer camp for discerning travelers and adventure enthusiasts. The Eleven Experience is a carefully curated collection six of lodges, chalets and beach houses hidden in extraordinary destinations around the globe. The company beckons “Adventure Capitalists,” intrepid travelers and outdoor enthusiasts who seek the thrill and challenge of authentic, life-changing experiences and understated luxury. The cornerstone of the Eleven Experience is each property’s highly knowledgeable native guides, who craft bespoke experiences filled with local culture, genuine community and rare pursuits in the mountains, water, backcountry and urban locations known only to locals. Eleven’s authentic global adventures are perfect for families, friends and business associates of all ages and skill levels who are driven by a deep curiosity to explore the world around them. Each passion-fueled adventure is specifically crafted to elevate guests’ experiences beyond the ‘perfect ten’ – to an Eleven.